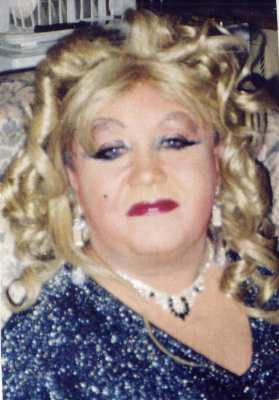 Does Tina Turner and Patsy Cline and has competed in many pageants at ReflectionsCabaret. This girl isn't afraid to publicize her personal life! Can be seen with GinaGibb. The two make a GRAND! DUO. Watch out Lebanese boyz. These girls got a taste for dark meat! NatasshaNlott writes: One of my favourite stories about quilts is the time I was standing next to Cherie at the bar at NRG at one of the BigGayKaraoke nights. They're auctioning off a pride afghan and Cherie goes "oh quilt" and I'm like "no, girl, it's an afghan". Cherie if I remember correctly was one of the first if not the 1st queen I ever met and she's a lot of fun and doesn't take drag too seriously. That's what's important. I heard your sick gurl, hope you get better soon!